Happy Navami everybody! These nine days have flown past, haven’t they? This Navaratri I have been featuring Dikshithar’s Navavarana kritis. It has been an intense nine days for me, reading about the philosophy, examining the ideas behind it and charting my own take-homes. Today we have arrived at the culmination point, the kriti dedicated to the ninth Avarana, सर्व आनन्दमय चक्र Sarva Anandamaya Chakra (Suffused with Complete Bliss). The presiding deity is Tripurasundari. Here reside Shiva and Shakti, unified as one and are represented by a bindu (dot). This bindu represents the sum total of all possibilities of the Universe. In this celebratory kriti, Dikshithar says प्रीति युक्त मत् चित्तं विलयतु ‘Intent upon Her love, let my mind dissolve’. If you have reached this stage of the Sri Yantra upasana, there is no more philosophy, no more logic, no more ritual, nothing but the merging of your mind into the absolute. So let us immerse ourselves in our own musical upasana as we let our minds seek Kamalamba. This kriti is set to the deeply meditative raga Ahiri, perfect for quieting our minds. It is beautifully presented to us today by Sumithra Vasudev (from 7:16). What a lovely song, and what a lovely way to finish this series! May the Goddesses be with you! May Kamalamba be victorious (jayati)! O Mother (ambA)! May Kamalamba be victorious! O mother of the world (jagat ambA)! May Kamalamba be victorious (jayati)! My (mad) mother, who is the sum total (kadambA) of the pleasure of love (shRingAra rasa)! May Kamalamba be victorious! The image (bimbA) of the spark (indu) of reflection (pratibimba) of the form (bimba) of consciousness (chit)! May Kamalamba be victorious! She who resides (sthita) in the bindu (dot) in Sripura, in the middle (madhyastha) of Brahma’s (chintAmaNi) temple (mandira) (I think it implies our body, as it is the temple created by Brahma for the soul), sitting (sthita) on pedestal (mancha) which is the body (AkAra) of Shiva, situated (-stha) on the lap (anka) of Shiva, the Lord of Love (kAma Isha). I meditate upon (aham chintayE) on the great (mahA) Tripurasundari, the ruler of all rulers (rAja rAjeshwari), the respected one (suvAsinI), who is worshipped by (archita) by Varaha (sUkara), etc (Adi) (I don’t know what Anana means), the one who causes prosperity (shrI kara), the one infused with (-maya) complete (sarva) bliss (Ananda). By She who causes (karayA) growth(vikAsa) to the sun (divAkara), moon (shItakiraNa), Agni (pAvaka) etc (Adi). By She who is charged with (dhuriNa tarayA) relieving (bhEdana) fear (bhIkara), the three (traya) afflictions (tApa) (=physical, mental, supernatural). By She who has the beautiful su-) form (kaLEbara) worshipped by (prArthita) the chief (pramukha) enemy (ripu) of Paka (=Indra), etc (Adi). By she who is manifest (prAkatyA) as both past (para) and future (apara). By she who is compassionate (dayAkarayA) to those who cherish (pAlita) her. Salutations (namastE) to the auspicious (shrI) mother (mAtR), the mother (mAtr) of consciousness (chit). The Goddess (ramA) Mother (vidhAtrI) worshipped (sEvita) by Vishnu (hari) and Shiva (Isha). The Shakti worshipped by (pUjita) by Vama etc (Adi), from whom was born (jAtam) all other (para) Gods (dEvata) (unsure about this). Honoured (upAsita) by the twelve (dvAdasha) like Cupid (manmatha) etc (Adi) (dont know what is abhi). The embodiment (rUpinI) of the mantras starting with ka, ha, sa, etc. The seat (Aspada) of love (prEma) of Shiva, the mother (janani) of Kartikeya (guruguha, also signature of composer). Intent (yukta) upon Her love (prIti), let my (mat) mind/consciousness (chittam) dissolve (vilayatu). She who shines (prkAshinI) suffused (-maya) by the Brahman, the ultimate consciousness. She is the imparter (vimarshinI) of all names (nAma) and forms (rUpa). She is displayer (pradarshinI) of the art (kalA) of love (kAma). She is the knower (nidarshinI) of essence (rasa) of Sama veda. Happy Ashtami everyone! We continue with the Navavarana kritis of Muthuswami Dikshithar, a series which I started last week from this post. 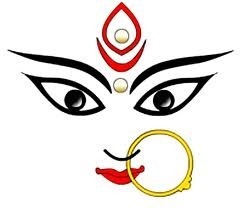 Today’s song is devoted to the eighth Avarana, the triangle within which the bindu, representing the Goddess, resides. The three corners of the triangle are said to represent a number of different things – the three gunas (sattva, rajas, tamas), the three powers of the Goddess (inclination, knowledge and activity), the three dimensions of the soul (AtmA, antarAtmA, paramAtmA), the three processes of creation (sRshTi, sthiti, samhAra), the three shaktis (Rudra Shakti-Parvati, Vishnu Shakti-Lakshmi, Brahma Shakti-Saraswati) and a few other ideas as well. It is clear that there are many ideas in sets of three in Hindu thought! The name of this eighth chakra is सर्व सिद्धि प्रद Sarva Siddhi Prada Chakra (That which gives all accomplishments) and the presiding deity is Tripuramba. Yesterday I suggested that all of us who are nor that spiritually adept examine the chakras to set ourselves long term spiritual self-improvement goals. I also suggested short-term measurable targets so that we can monitor our progress. Therefore today, prompted by the name of the Chakra, I ask ‘What gives us all accomplishments?’ . The answer flashes easily. First there has to be a seed, a wish to accomplish. This is triggered by something deep within us, our souls. Next there is the growth of the plant, the slow gathering of knowledge and skills. This is controlled and directed by the mind. Then finally the tree bears the fruit of accomplishment which can only come with the blessings of the Divine. Unknowingly, I have landed on the AtmA-antarAtma-paramAtmA symbolism after all! This chakra tells me to strengthen the soul-mind-God connection so that it can work as a unit in our physical or metaphysical improvement (long term goal). Let us examine ourselves for the seed of one accomplishment, however small, which will give us joy. Let us find an inspiration before the end of this year (short term target). Let us then diligently take action to accomplish it next year and pray that our actions will bear the fruit of accomplishment. This kriti in honour of the eighth Avarana is set to raga Ghanta. This is presented to us by Amritha Murali. Kamalambika protect me, protect me.The auspicious one! The one who holds the parrot and the maina-bird* in her hands. The protector of her worlds, the bearer of the trident. The consort of the bearer of the skull. The mother of the worlds. The one who is the garland of sweetness. Glance at me. The giver of all powers! The one known as tripurambika and balambika. The one whose body is splendorous like molten gold, the one who always is an everflowing bliss, the one who dewells in the triangle with kAmeshwari and other shakthis.The one whose gate from which the bell of mukti beckons one to salvation. The one known to the eternal guruguha; the one who produced the 10 incarnations of Vishnu out of her 10 finger-nails. The one who resides in the mind, as the form which holds a sugarcane, the 5 tanmatras as the arrows, desire as the noose, hatred as the goad; The secret yoga power. Happy Saptami to all of you! I started this series of posts on Prathami, trying to follow and understand Dikshithar’s Navavarana kritis which are based on the worship of Sri Yantra. Over the last seven days, I have read many texts and tried to understand Avarana after Avarana, giving you a summary in my posts. The texts all seem so complicated and convoluted! Yesterday I gave up, considering this quite beyond me. It is a veritable mountain of ideas in which I am quite lost. Bhupuram : Trilokya Mohana Chakra, the outermost layer. Tied to the earth, as the name Bhupuram suggests, I prefer to think of it as the physical preparatory layer. Mountain climbers train, acclimatize. Olympians practice. Those on the quest of the Goddess should surely start with training their bodies and minds with discipline, yoga and meditation (long term goal). Let us all try and do yoga at least twice a week and meditate at least once a week (short term target). Sarvasa Paripooraka Chakra , the chakra where all desires are fulfilled. Is it ever possible to fulfil all desires? Isn’t the wish to fulfil all desires itself a desire? Desires come from discontent, if we remove discontent from out lives, all our desires will be fulfilled, will they not? So for me, the lesson of this chakra is to learn to be content (long term goal). Every morning, let us thank God for just one thing which makes us content with our lives; let us count our blessings (short term target). Sarva Samkhsobhana Chakra, the chakra which agitates all. The law of inertia states that ‘An object at rest stays at rest and an object in motion stays in motion with the same speed and in the same direction unless acted upon by an unbalanced force.’ If we want to be different, we have to start doing something different! ‘Shake it up’ says this chakra to me, ‘start seeing the world with different eyes, the eyes of those on a quest’ (long term goal). Every month, let us teach ourselves one new thing in the spiritual realm from any religion of the world (short term target). Sarva Saubhagya Dayaka Chakra, the chakra which bestows all prosperity. What if we are not meant to be the receivers but instead are the providers? What is prosperity – health, wealth, happiness? We cannot provide physical health to others, but we can provide mental health by being loving, supportive, understanding and accepting. We cannot provide everyone with wealth but we can try and be generous and charitable (long term goals). We cannot make everyone happy but let us try and bring a little smile to someone, somewhere every single day – be it a text to a friend, a small charitable act, a lovingly cooked meal..anything (short term target). Sarvartha Saadhaka Chakra, the chakra which is the accomplisher of all objectives. Our schooling, our work, our life all tells us to set objectives and work towards achieving it. Let me tell you my experience : this is a whirlpool from which you will never emerge. Every objective achieved only paves the way for the next objective; it is an unending cycle. It tells me one thing very clearly – the objectives I am setting are wrong ones, they breed dissatisfaction, not satisfaction. So the lesson from this chakra is to set our objectives for those things which will bring us long time joy (long term goal). Let us think for the rest of this year and make a list of those things which will give us long term happiness (short term target). Sarva Rakshakara Chakra, the all protecting chakra. Protecting what? I ask myself. What is worth protecting in me? What is not already tainted? This is a hard question for it seems that all that is good within me has already been soiled by this life. The lesson for me from this chakra is to protect diligently all that is worth protecting in all of us – honesty, honour, charitability, kindness, patience, gentleness, peacefulness, nobility etc..(long term goal). To do that, we must first go through mentally of all we have done by which we have let ourselves down and then forgive ourselves for those things (short term target). Sarva Rogahara Chakra, the chakra which removes all diseases. ‘What is it which is diseased within me?’ I ask myself. Life sets the rot within us, does it not? Let us all examine ourselves, determining that which has started to rot in us and then heal ourselves, with kindness, with patience, but with determination as well (long term goal). Every third month, let us stop one bad habit, behaviour, or thought pattern which leads to the disease in our body, mind or soul (short term target). Now this kind of practical steps sit much more easily with me than talk of worshipping hundreds of shaktis and yoginis with mantras and puja vidhi! Dikshithar’s kriti in honour of the seventh chakra is set to raga Sahana. It is presented today by Sikkil Gurucharan, an excellent young artist. I give my devotion (bhaktim karOmi) to Kamalambika, to Her who is a a garden (vAtikA) of wish-giving trees (kalpa) to her worshippers (shrita), to Her who is Chandika (a rudra form of the Goddess), to Her who is the mother (ambikA) of the world (jagat). To Her with a face (vadana) like the full moon (rAkAchandra), whose eyes (nayana) are like the lotus (rAjIva), whose feet (charaNa) are worshipped (nuta) by the enemy (ari) of the demon pAka (=Indra), who radiates (kiranAy) the skies (AkAsha) etc (Adi), who is the doe (hariNi) in the forest (vipina) of the sound hRIm, whose noble (prefix su) body (sharIra) is the embodiment of the sound hRIm, who is like the cluster of blossoms (manjara) of the tree (taru) called hRIm, who is the Goddess (IshvarI) of the sound hRIm, who is fair-skinned Goddess (gaurI). To Her who enjoys (anubhOga) her own (svAtma) blissful self (sukha tara) which is manifold (vilakshaNa) and beyond (implied) the three (traya) bod-states (sharIra) (the causal, the subtle and the gross), who is the secret (rahasya) Yogini known (vEdita) to Brahma (virinchi), Shiva (Isha) Vishnu (hari) and Hayagreeva (harihaya), who is the embodiment (rUpa) of the deity (dEvata) of speech (vAk), who is differentiated (vibhAga) as Vashinis (deities of the 8-triangles, representing alphabets, pa ra etc (Adi)), who is the Raja Yogini who removes (hara) all (sarva) communicable (chara-Atmaka, moving nature)diseases (rOga) causing good health (nirAmaya) , who plays (vAda) the Veena she holds (dhRta) her hands (kara), who takes pleasure (vinOda) in the Lotus-city (kamalA nagara), who delights (mOdin) the Gods (sura), men (nara) and sages (muni jana), who graces (prasAda) Kartikeya (guruguha, also signature of composer) with boons (vara). Happy Shashti to all of you! I continue my posts on Dikshithar’s Navavarana kritis (Nine Enclosures) and we have come to the sixth one today. As we unfold one Avaranam (Enclosure) after another, it is clear that each one is one further step in reaching the state of oneness with the Supreme Consciousness which resides in the centre. A true worship is not just revering this chakra, but in exploring the meaning of each consecutive state and training our minds to reach that state. It is all so complicated! So what of us ‘normal’ people with limited abilities? Are we to just blindly worship the symbol without any follow through? Are we to resign ourselves to the fact the we are just not capable? 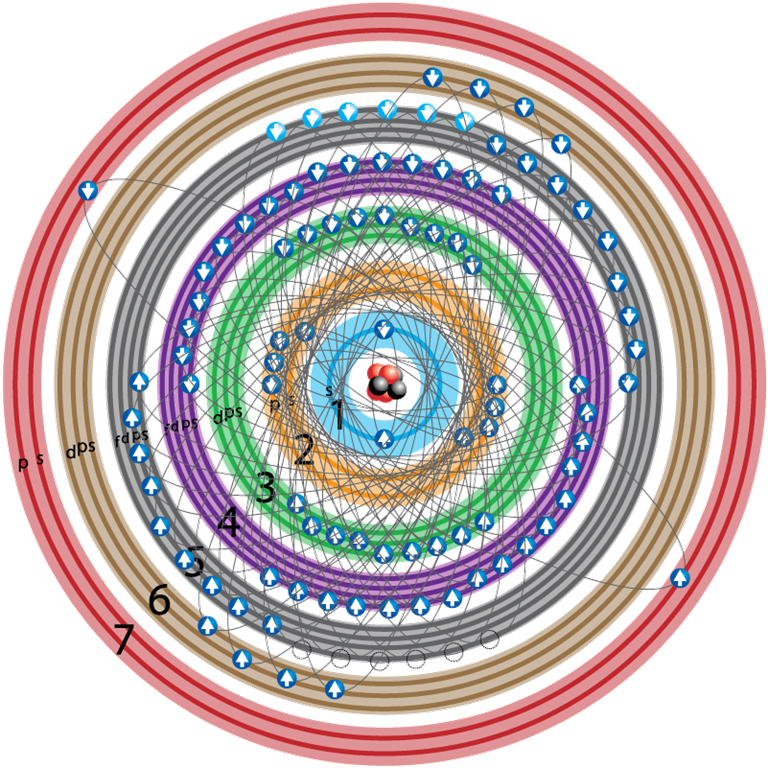 The sixth Avarana is called the सर्व रक्षाकर चक्र Sarva Rakshakara Chakra (All Protecting Chakra). Let us forget meaning, let us forget prescribed forms of worship, let us forget everything except that She who loves music IS music itself, that our love for music is in fact a worship it itself. This kriti is set to Raga Punnagavarali and is presented to us today by K.Gayatri. Note : As I did not have time to do the translation, this is as available on Guruguha.org I will do a word by word translation as soon as I am able. I am a devotee of you, kamalambika. The auspicious, the harbinger of prosperity, the connoisseur of music. The one who holds bow of sugarcane, arrow of flowers, the noose and goad, the one with the sweetest voice, the consort of sharva; the auspicious, the one whose tresses are blacker than the bees in the punnaga trees. The One who is able to withdraw his senses from sense objects, as the tortoise draws its limbs within the shell, is firmly fixed in perfect consciousness. To achieve self-realisation and attain divine consciousness, says Lord Krishna, one needs to control one’s senses. We are advised to abandon the desire for all kinds of sense gratification. What are these senses that the Bhagavat Gita talks of? Continuing on my series of posts on the Navavarana kritis, we come to today’s kriti in honour of the fifth Avarana of the Sri Chakra. To start from the first of these posts, click here. 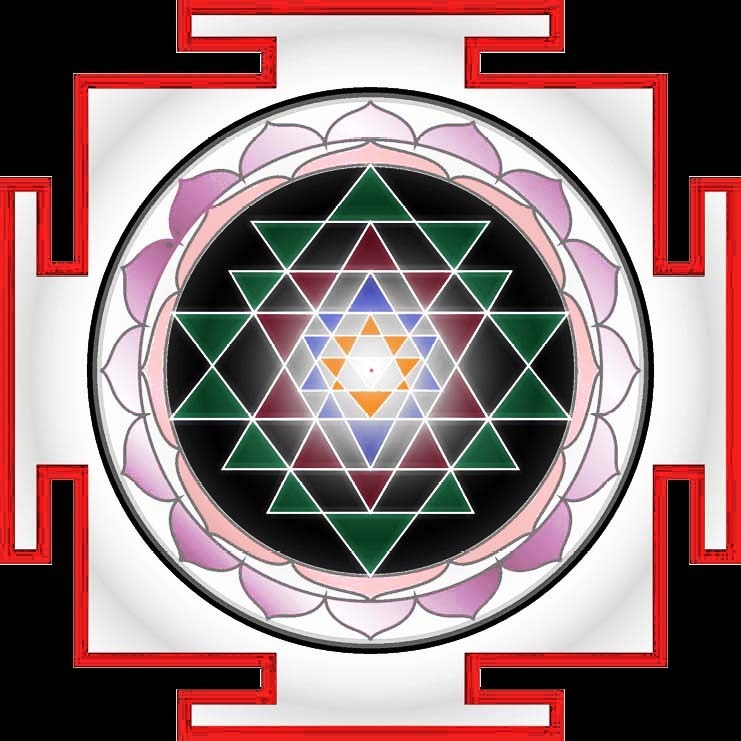 This Avaranam is seen in the form of ten triangles and is called the सर्वार्थ साधक चक्र Sarvartha Sadhaka Chakra (Accomplisher of Everything). It is presided by Tripurasri and the Kula Yoginis. These ten triangles are said to the represent the five Pranas (life force, vitality) -Prana, Apana, Samana, Udana, Vyana and the five Upapranas (auxiliary pranas) – Naga, Krkara, Kurma, Devadatta, Dhanajaya. Between them they regulate the functioning of the body. The ten triangles are alternatively said to represent the five Jnana Indriyas (Organs of Perception) Chakshu (eyes), Karna (Ears), GhrAna (Nose), Jihva (Tongue) and Tvach (Skin) and the five Karma Indriyas (Organs of Action) – Vak (organ of speech), Pani (hands), Pada (feet), Upashtam (reproduction), Payu or Guda (excretion). I have chosen to focus on this second representation. Though the Sri Chakra is worshipped directly, I would rather look for meaning and understanding. It seems to me that each enclosure is like a layer one needs to unravel before being able to approach the central bindu which represents the Goddess. And one of the steps of this quest is the control of the senses. To present this song, we have the very young duo of Anahita Ravindran & Apoorva Ravindran. This is set to raga Bhairavi. Note: I did not have the time to translate myself as I do normally. This is the explanation as published in The Hindu. I will do the translation in the coming weeks. The word Sadhaka denotes accomplishment. It can also mean ‘aspirant’. The tone and complexity of the compositions gently builds with each Avaranam. Dikshitar brands all his compositions with references to his deity – Kamalamba. In Shree Kamalaambikaayaa, in Bhairavi raagam, he reaches a threshold in his worship and his devotion for the goddess. The composition begins and ends with the phrase – There is nothing and none beside Kamalambika. The rest is mere detail and metaphor. She who is sound in essence, whose body is garmented with the lustre of Advaitha wisdom, the supreme lustre of Satchidananda, free from Maya, free from difference, and imperishable. She who is who is certainly approachable by the Sadhanas, whose powerful side-glance will dispel cause and effect. A fascinating concept – the “sidelong glance of the goddess”. Even in the depths of esotery, the poet can’t let go of his aesthetics.